At Wholistic Dental Associates, we care about your health and take a great deal of pride in developing long term relationships with our patients. We listen to your concerns before we present treatment. We make sure your questions are answered before we start treatment. We make sure you are 100% comfortable with us and with your treatment options before doing anything. Without your trust, we won’t move forward. 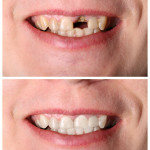 Why Choose Wholistic Dental Associates and Dr. Jones? No One Likes the Drill… Not Even Us. We do our best to keep your mouth a “no-drilling zone.” We always provide safe, natural alternatives before using a drill as a last resort. This is not a “drill-and-fill” dental practice. Our Office Won’t Make You Sick. Did you know that dental offices can be loaded with toxins and contaminants? Even if you don’t have any amalgam (silver) fillings in your teeth, your dentist probably deals with them on a regular basis, which means that every time you sit down in a dental chair, you are inhaling dangerous mercury fumes. We adhere to a strict Patient Protocol at Wholistic Dental Associates that helps ensure you won’t inhale the mercury fumes that can cause serious illness. Full-Body Wellness. Did you know that proper dental care can add as many as 10 years to your life? Do you know what “Proper Dental Care” means? Most patients — and doctors — don’t know the answer to that. At Wholistic Dental Associates we believe that “proper dental care” means considering how any treatment will affect you entire body. Most dentists just “fix the problem.” At Wholistic Dental Associates, we “treat the cause,” not just the symptom. Further, we always test our materials to ensure that whatever we use is compatible with YOU… there is no “one-size-fits-all” mentality at Wholistic Dental Associates. Your Body is Natural, Your Doctor Should be Natural. We believe in science-based medical and dental practices (Dr. Jones is a fully-licensed dentist). But your body is a natural entity. If there is a scientifically proven natural remedy for your symptoms, we believe that should always be your first option. That’s why we will always present you with natural, holistic options as well as traditional dental options. It’s your mouth, your treatment is ultimately your choice. We will present the options so you can make an educated decision based on your health. Holistic Treatment is Time-Tested and Proven. Holistic remedies and treatments have been used around the world for centuries. In the Western World, science-based medicine has become the dominant player for decades, but the tide is again turning to holistic, biological approaches. Dr. Jones understands that not all problems can be solved naturally, which is why Wholistic Dental Associates has implemented a healthy blend of traditional holistic approaches with western science, ensuring you always get the best possible treatments for your dental problems. It’s Stress-Free. We want you to feel comfortable with our office, our staff, and our practices, which is why we’ve created a practice that makes your dental trips as comfortable and stress-free as possible. Why should a trip to the dentist keep you up at night worrying? Cutting Edge Technology. At Wholistic Dental Associates we have cutting-edge technology to ensure safe, effective, healthy dentist visits. We have the latest CEREC machine, a 3D Cone Beam CT scanner for diagnostics, a top-notch laser, and a host of other high-end, top-quality tools to provide the best treatment possible. You won’t see outdated equipment or outdated techniques… you will ALWAYS get the best of the best. Experience and credentials you can trust. Dr. Jones is active in numerous leading-edge holistic and biologic dental associations and maintains a rigorous continuing education schedule to ensure she is always at the forefront of the best care possible. We Don’t Sit Idly. Too many dentists read articles, take courses, and learn new techniques and ideas that COULD keep their patients healthy and happy… then they slip back into old, outdated techniques that have been long since proven ineffective because that’s what they feel comfortable with. Not us. We are always moving forward with the goal of improved health and better care for our patients. We know you have options when it comes to dental care. We know you probably don’t get excited about visiting the dentist. At Wholistic Dental Associates we have taken every step possible to make your visit pleasant and effective. We offer traditional and holistic treatment options in a relaxed, calm environment. We accept insurance, just like most dentists. We can also cater to any special needs you may have (just please let us know when you schedule so we can be sure to accommodate in the best way possible). What do you have to lose? Call us today (or use the form below) to schedule your biological dental appointment… you’ll be glad you did.